Men’s white traditional T-shirt. This classic white T-shirt is made from 100% cotton and is cool and comfortable enough to wear all year round. 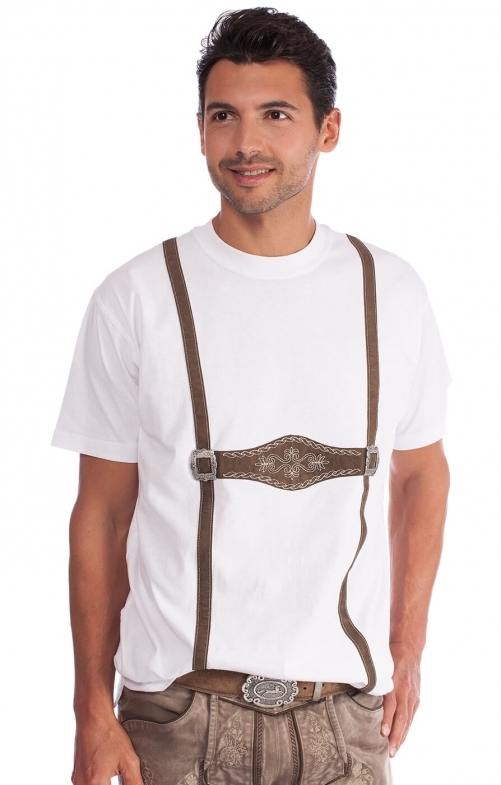 It boasts a traditional Bavarian style H-brace design on the front and back in brown, which comes complete with buckle designs on the straps, making this the perfect garment to wear to Oktoberfest. Top Qualität, fällt aber zu groß aus.